My first experience with Patrick was 15 years ago when I chose him to list my large property on Santa Fe's Eastside (800 Garcia St). I picked him over agents from Sotheby's and it was a choice well made. Patrick advertised and exposed the property to the right people and he sold it in a few weeks. He then facilitated a purchase for me of new construction which in the summer of 2015 I decided to sell. He immediately went to work and due to his knowledge and network, he had it sold after just a few days on the market. Considering the price ($2,450,000.00) this was remarkable. A Santa Fe native who loves and understands the city and community, he really knows the market, works with persistence, is a gentleman and shows kindness and humor. We were so fortunate to meet Patrick when we decided to buy a home in Santa Fe. We knew what we were looking for but hadn't been able to find it on our own. Patrick was exceedingly professional and patient, at all times, as he continued to work hard for us and to encourage us that we would find the right home. And we did! After months of working with us-and countless hours of his time-he found us the perfect home. We could not recommend a Realtor more enthusiastically than we recommend Patrick Walker. He's awesome. You will not be disappointed. Patrick was incredibly helpful in selling our house, which he correctly identified as a unique property with a niche market. Other brokers were less willing to take on that challenge, but Patrick was a great advocate. 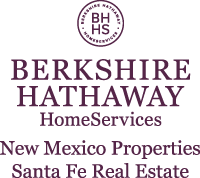 He never hesitated to to share his deep knowledge of the Santa Fe Real estate market while giving insightful advice on everything from setting the price to how to get the property ready for sale. Once listed, he skillfully negotiated the sale price ensuring we got the best price we could. He was able to navigate a number of challenging issues which arose to make sure we had a successful closing. Through it all he was responsive and a pleasure to work with.